Brad wrote a great analysis of an Emotet maldoc send to us by a reader. In this diary, I would like to show how this maldoc can be staticaly analyzed with a couple of tools. 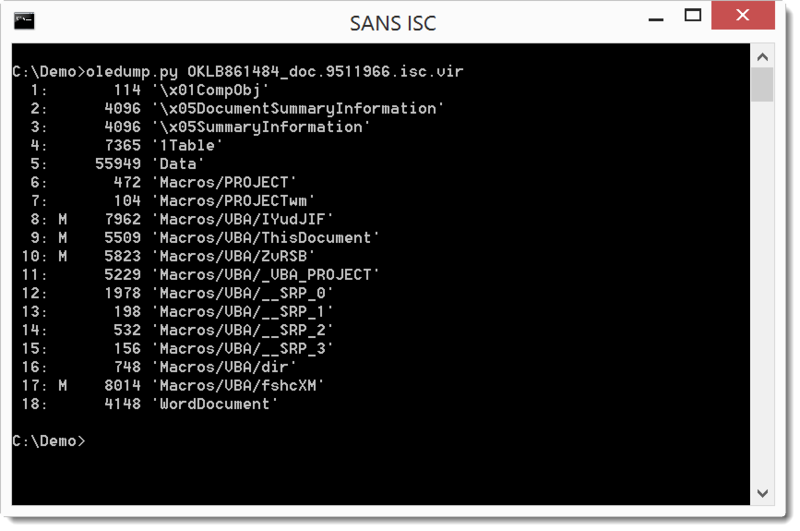 As expected, it is obfuscated, but we can still recognize some strings that look like BASE64. If we would manually concatenate them in the right order and decode, we would recover the payload. 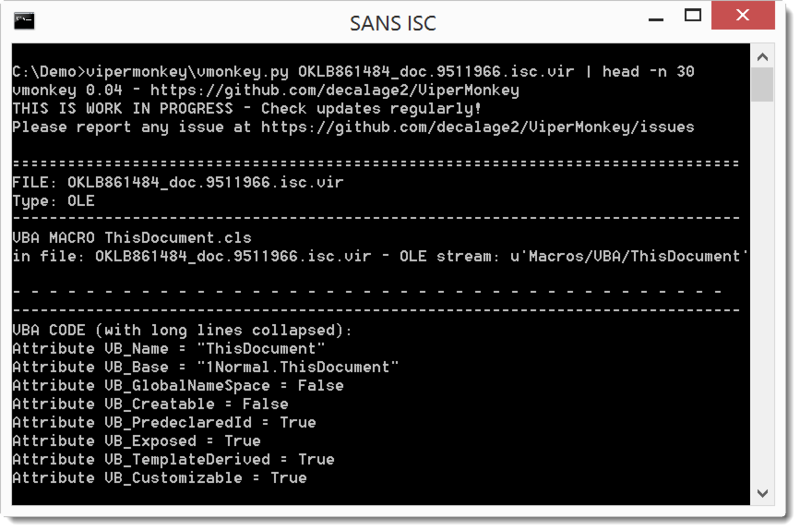 Fortunately, for this sample, there is an easier way by using an open-source VBA emulator: vipermonkey.